This is a 14 foot boat that I rescued from Craig's list in 2014 and restored. She was designed and built in Norway by Jan Herman Linge, who also designed PT boats for the Norwegian Navy during WW II. This boat was imported to the US in 1982. The boat is still in production in the same factory building today. 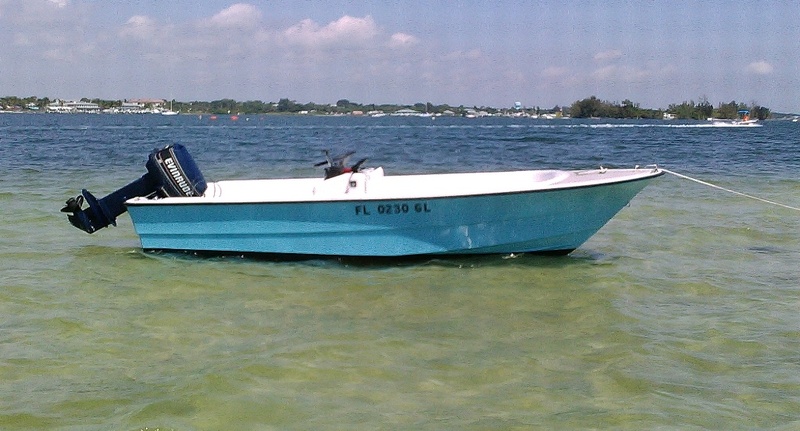 If you do a search on Musling 430, there are some you-tube videos of the boats sporting 90 and 115 hp Yamaha's. Not that I want to try doing that.